The quarter-liter segment has always been a fiery pit, where manufacturers battled with their entry level performance offerings since the past decade. These days almost every manufacturer both Indian and foreign are all set for combat with options ranging from both exotic and affordable performance machines. There used to be a time where accelerating to 100 under 8 seconds was quite a feat for a quarter liter machine. According to today’s standards, 8 seconds is considered slow for a quarter liter machine as some of these motorcycles can easily outdo that. 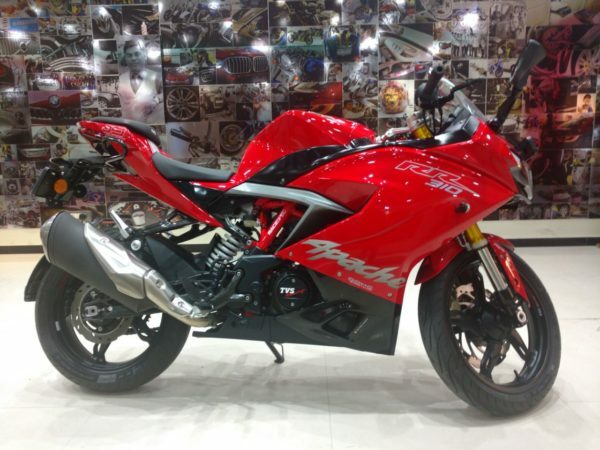 With that in mind let’s talk about some of the fastest accelerating motorcycles under the price tag of 3 lakhs. Being their flagship motorcycle, the Apache RR310 gets everything TVS has to offer thrown at it. Making a commendable 33 bhp of power and 27.5 Nm of torque, couple that up with its light 169 kgs of weight makes it quite the performer. This grant is quite a good launch and punches down the straight with great momentum. When it comes to aesthetics, it’s quite obvious TVS has given this design some thought with its rather clean finish. Achieving a 0 to 100km/hr in a time of just 7.2 seconds, the Apache RR310 is by no means a slouch. This motorcycle looks absolutely stunning in person and is quite the head-turner from almost every angle. Given the fact that this motorcycle is made in India, spare parts and after-sales service also makes it more dependable. 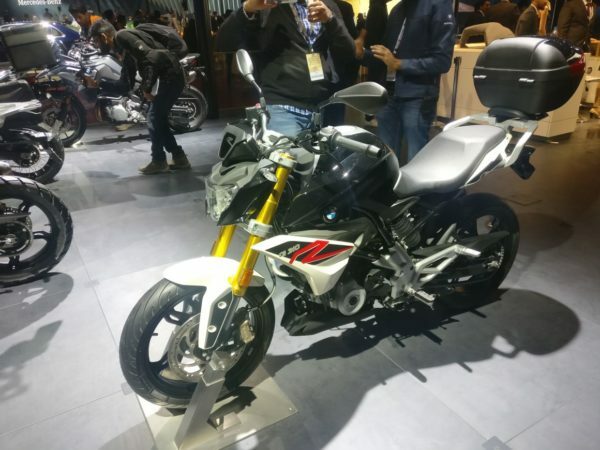 The BMW G 310 R is the Apache’s brother from another mother. Sharing not only the engine but most of its spare parts but priced on the other end of the 3 lakh spectrum. It’s snob value aside, this makes the same 33 bhp of power and similar torque at 28 Nm. What makes this accelerate faster than it’s sibling is the fact that this weighs almost 10 kgs lighter at 158 kgs. The lack of a fairing does take away a little of the aerodynamics, but when it comes to acceleration this motorcycle manages to still edge ahead by doing the 0 to 100km/hr run in just 6.9 seconds. This may not share the same service network as it’s sibling but it’s the BMW badge that customers value and appreciate more than anything. The newest entry to this price range, the Ninja 300 has been around since the beginning of this segment in India. Recently Kawasaki announced they’d locally assemble the Ninja 300 making it a lot more accessible and making this the most affordable Kawasaki currently. Enough about the brand let’s talk about what this motorcycle packs. This is the only twin-cylinder motorcycle in this list or at this price, coming armed with a 296cc Parallel-Twin that produces a strong 39 bhp and 27 Nm of torque, which translates to a 0 to 100km/hr time of just 6.6 seconds. That extra cylinder and wider dimensions do make it the heaviest motorcycle on this list, but it doesn’t feel all that heavy at 172 kgs, to be honest with you. 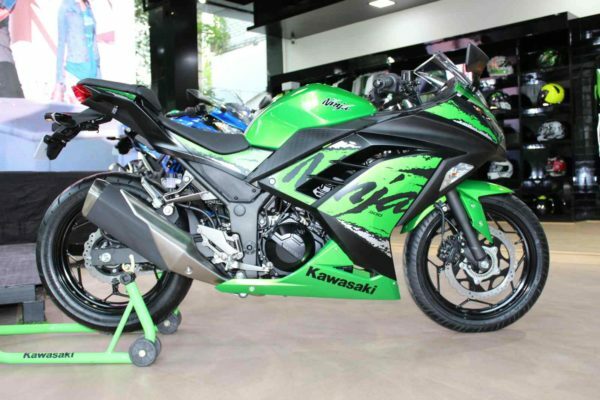 Kawasaki doesn’t have the best after-sales service or dealership network, but if that isn’t a concern then this motorcycle is sure to impress you with its brilliant engine and quality. 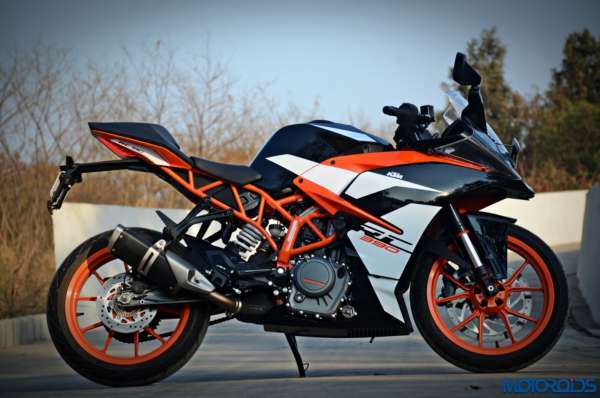 Making its debut with quite the bang, the KTM Duke 390 has always known as bang for your buck. Given the host of performance-oriented parts this motorcycle comes mated with, it’s very hard to be more value than the Duke 390. Making a staggering 43 bhp of power and 37 Nm of torque, this is quite the force to reckon with. 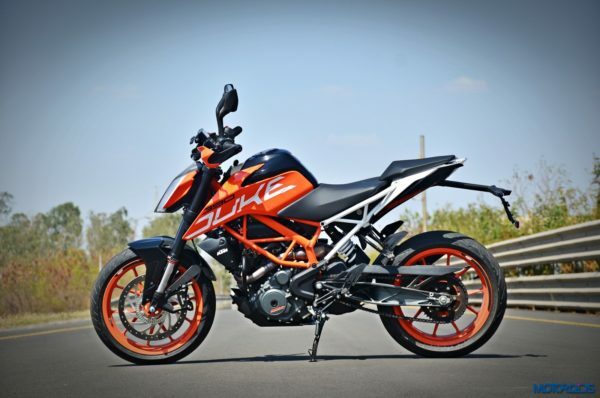 KTM has dulled the new Duke 390 and made it a more well-rounded package, but even then this is no motorcycle to take lightly especially with an acceleration time of just 6.5 seconds to 100km/hr. Thanks to its lightweight construction of just 163 Kgs and the fact that this is made in Inda, this motorcycle is bound to be both light on you and your wallet. Backed up by Bajaj, KTM has quite the dealership network making this an extremely reliable package. It’s very hard to one-up the Duke 390, especially when you take into account how much it brings to the table. As the story goes, where there was Abel there is also Cain. Even though God favored Abel, when it comes to sheer performance, Abel is about to get murdered. The KTM RC390 shares all its parts including the engine with the Duke, the only major difference is in their purpose. While one is meant to do a host of things, the RC390 is meant for one thing and one thing only, tearing up the tarmac. The RC390 already has performance on its hand with the same engine output of 43 bhp and 37 Nm, the cherry on top is the fact that it weighs in at just 150 Kgs. The absence of that extra weight makes it seem as if this motorcycle is on viagra its ready to get it up each time you twist the throttle. With a timing of 5.9 seconds to 100km/hr, the sheer ferocity of this motorcycle acceleration is quite heart pumping and grants this a lot of raw potentials. Plus sharing the vast dealership network and easy availability of parts makes it the fastest and best performance motorcycle under 3 lakhs.